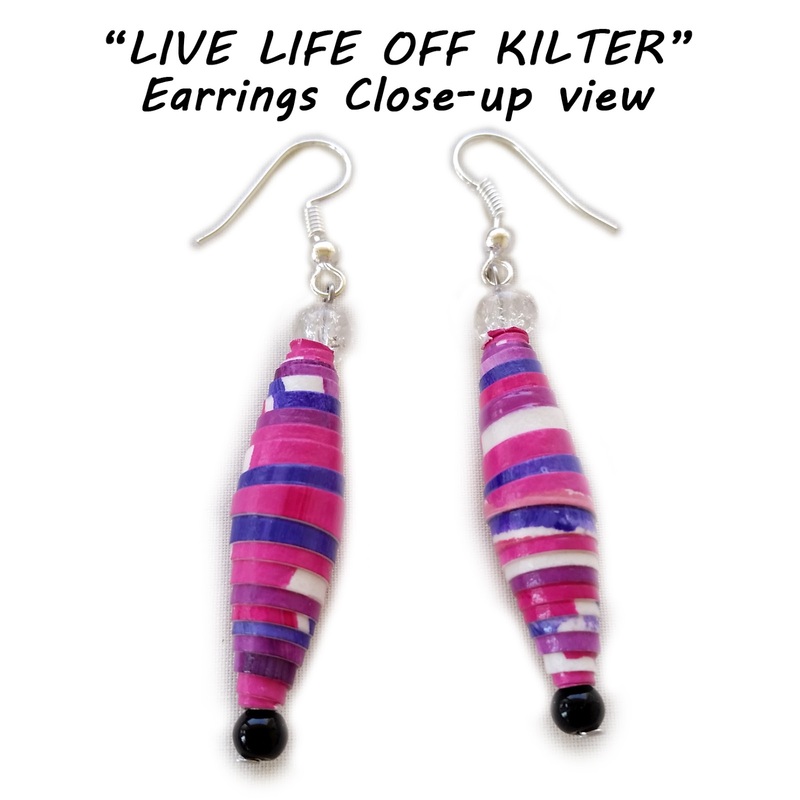 "LIVE LIFE A LITTLE OFF KILTER" features 2 miniature, original, abstract paintings created in a purple and fuchsia palette against the natural white tones of the watercolor paper. 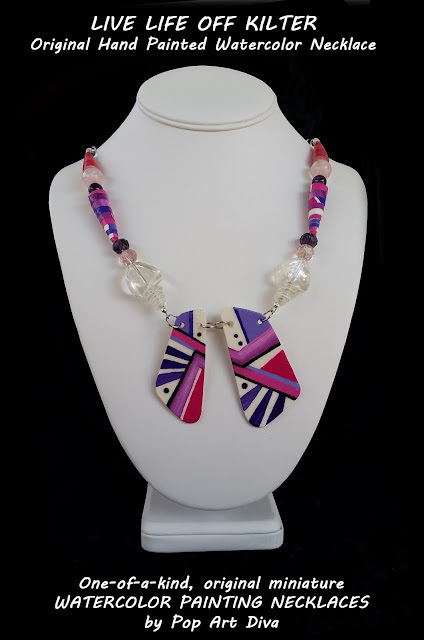 The painted pendants are flanked by matched rose quartz, amethyst, jet, clear, white and lavender glass beads as well as 4 of my hand painted watercolor paper beads. Framing the pendants are two large, iridescent, hand blown glass seashell beads. 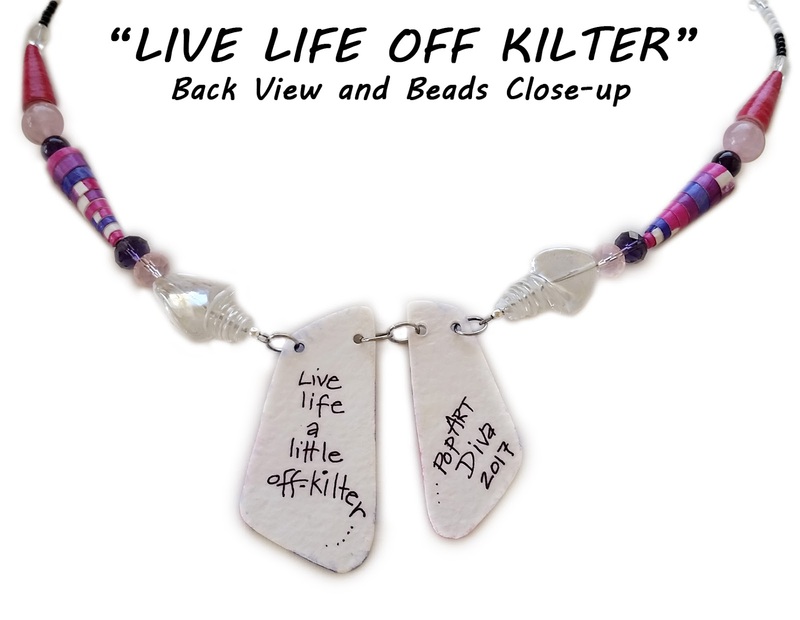 The back side features a hand written, inspirational message that complements the necklace. 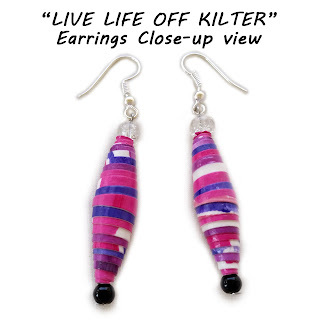 EARRINGS INCLUDED. FREE SHIPPING. 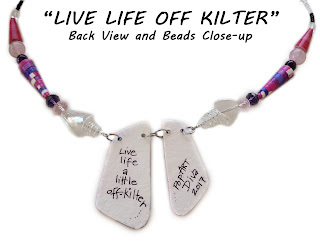 Larger main painted pendant measures 1-5/16" wide by 2-3/4" high. Smaller pendant measures 1" wide x 2-3/8" high. Thickness of all pendants is 1/32" thick. 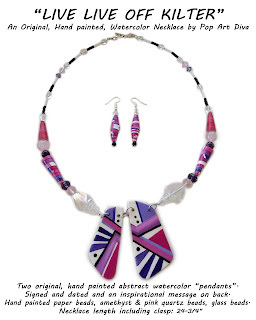 Glass, amethyst, rose quartz and hand painted paper beads, nickle free findings. Necklace length including clasp: 24-3/4”. Primary colors are Purple, lavender, fuchsia, hot pink with black accents.